The "Monte Carlo" is reported to have absconded from Lobito harbour in Angola without payment of fees. 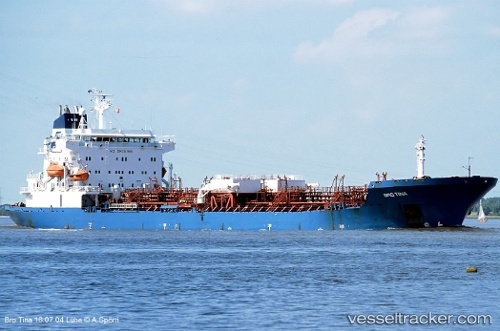 The vessel, which is owned by BMP Shipholding of Singapore and managed by Thome Shipping also of Singapore, reportedly issued a Mayday while en route to Lagos in position Latitude 12º51 S, Longitude 11º14 E 170 miles from Lobito. Port authorities organised a rescue mission which went to the aid of the tanker on 22 May, 2010, with the ship being towed into port on 26 May. On 12 June the Monte Carlo slipped out of Lobito, apparently without notifiying the authorities of their intention. Once alerted to the ship’s disappearance Lobito port authorities were able to ascertain that the vessel was some 50 n.miles north of the port, minus ship’s papers which are in the possession of the port harbour master.